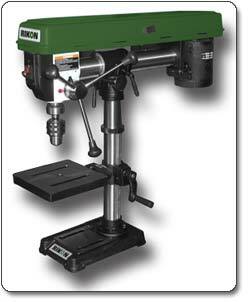 RIKON 30-140 Bench Top Radial Drill Press comes with 5 spindle speeds from 320-rpm to 3100-rpm. It is powered by a 1/3 HP motor, and the head moves back and forth for various board widths. On the other hand, the head can tilt 45° right and 90° left. 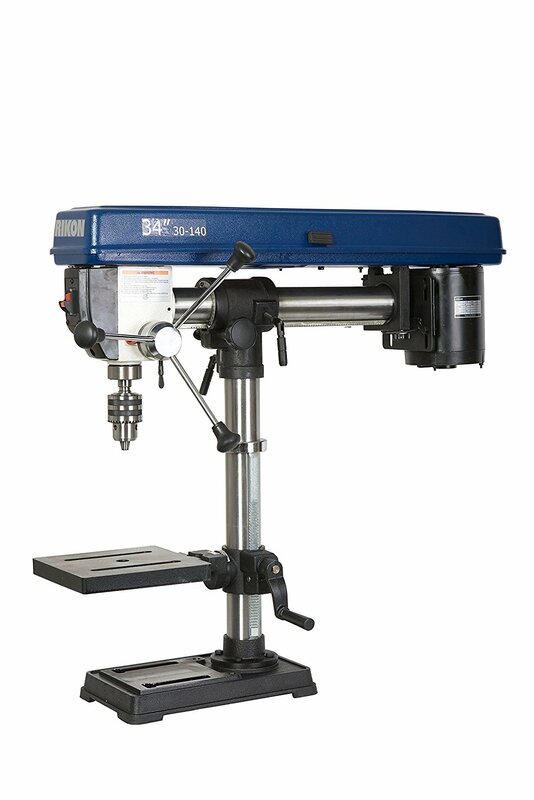 There is no doubts that RIKON 30-140 Bench Top Radial Drill Press comes with versatile drilling capacity. It delivers the power and versatility you need to take on any types of projects. 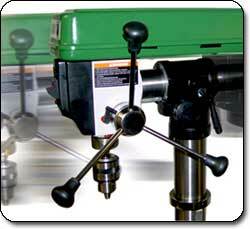 It has a 3/8 inch spindle travel, which provides large drilling capacity for tough jobs. On the other hand, the clutch depth stop lets you set the drill quickly and easily. Rikon 30-140 also comes with an M-T2 spindle taper, which is perfect for quick changes from chuck arbors to end mill bits. 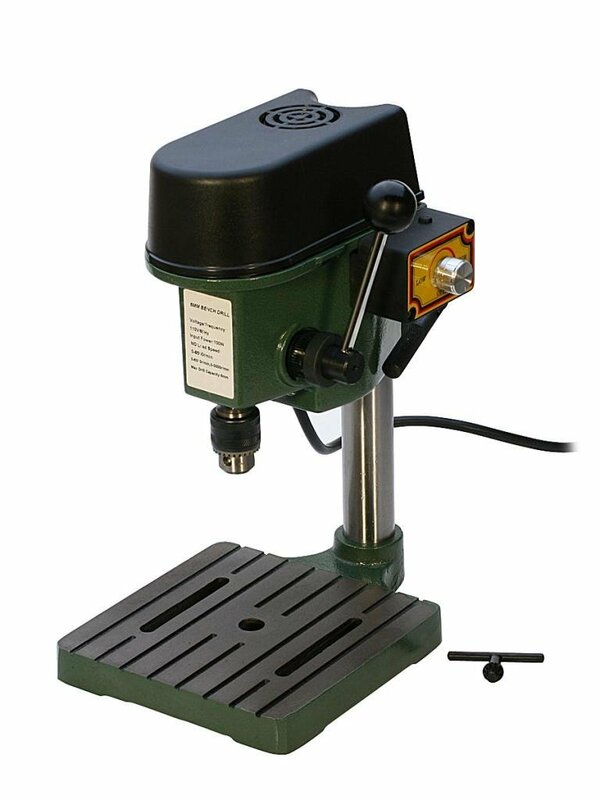 Further, RIKON 30-140 Bench Top Radial Drill Press comes with 7-3/4 inch by 7-3/4 inch table, which perfectly accepts various sizes of materials, and it greatly rotates a full 360°. To provide the desired accuracy, the 13-5/8” by 8-5/16” base keeps things stable.